There are over 730 town and community councils in Wales with over 8000 councillors. They are not present in every part of Wales as there is a procedure for forming new councils; they can be established or disbanded at the wishes of the community. They can set a ‘precept’ or ‘rate’ which is collected by the council along with the Council Tax. Many councillors in parts of Wales are also town or community councillors for their area. It is important that councillors and town and community councillors work together in representing their communities and, likewise, councils and town and community councils are encouraged to work closely together, and may hold regular liaison meetings and have established protocols on communication and consultation arrangements. 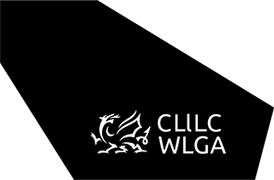 At a national level, One Voice Wales and the WLGA work together to promote local democracy, and encourage partnership working and sharing of best practice between local councils. On this basis, One Voice Wales and the WLGA agreed and signed a Memorandum of Understanding, which reflects many of the principles of engagement and partnership that feature in local Charter agreements.